Saginaw native Devin Williams is going to be sharing some hardware with his crease counterpart. Williams, along with teammate Oscar Dansk, led the OHL’s Erie Otters to the league’s lowest goals-against amount this season, which means that they are this year’s recipients of the Dave Pinkney Trophy. It is the first time in Erie’s history that the OHL franchise has posted the league’s lowest goals-against total. 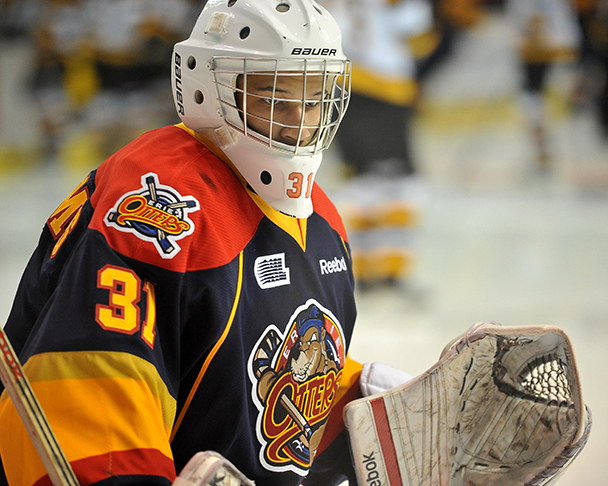 Williams, 18, is in his third OHL season with the Otters. He posted a 23-5-1-0 record, including five shutouts, along with a goals-against average of 2.57 and a .905 save percentage. The Saginaw native is ranked 14th among North American goaltenders for the upcoming 2014 NHL Draft.